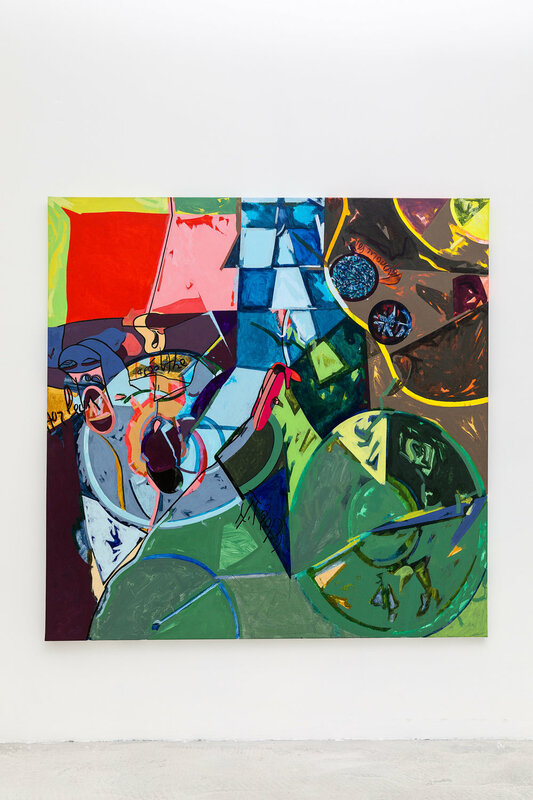 After spending three years in New York, where he became familiar with the abstract expressionism that influenced the assertive gestures of his first paintings, Télémaque settled in Paris in 1961. At this time, he became close to the Surrealist group. 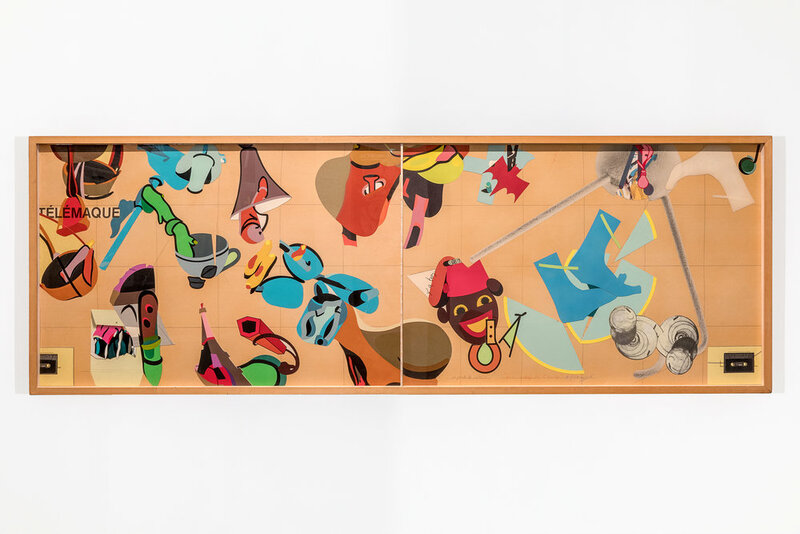 On canvas, he orchestrated the meeting of objects from consumer society and popular culture, which led to joyous visual short-circuits. Soon a follower of the "clear line" style, Télémaque produced paintings with a strong autobiographical element. These were constructed as metaphorical sequences with a definite critical import, half-way between counter-culture and anti-colonialism, while exploring the complex relationship between image and language. However, between 1968 and 1970, the artist stopped painting to produce intriguing assemblages of objects, where the white stick, symbol of blindness, took on a major role. When he returned to painting, Télémaque tackled collage for the first time, profoundly reworking its current techniques. During the Nineties, Télémaque also executed drawings in charcoal, whose dark forms and sophisticated cut-out effects dialogued with a large number of reliefs in salvaged wood covered with coffee grounds. The 2000s were a period when he cast a fresh eye on the world, after returning to his African roots. His works at this time were notable for their frequent allusions to "negritude", and their more precise comments on current French politics. In the middle of the decade, he made an unexpected and highly productive return to a striking new pictorial form. A conversation with the artist. 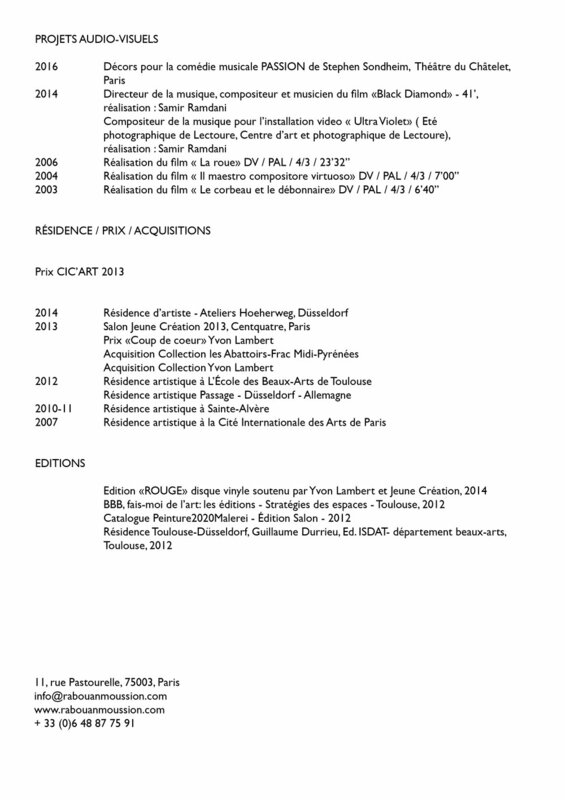 Du 25 février 2015 au 18 mai 2015, une exposition rétrospective lui est consacrée par le Musée National d'Art Moderne au Centre Pompidou avec 74 peintures, dessins, collages, objets et assemblages, reprise au Musée Cantini, puis du 24 janvier au 17 avril 2016 à la Fondation Clément au François en Martinique, avec 53 toiles en rapport direct avec les Antilles et l'Afrique. 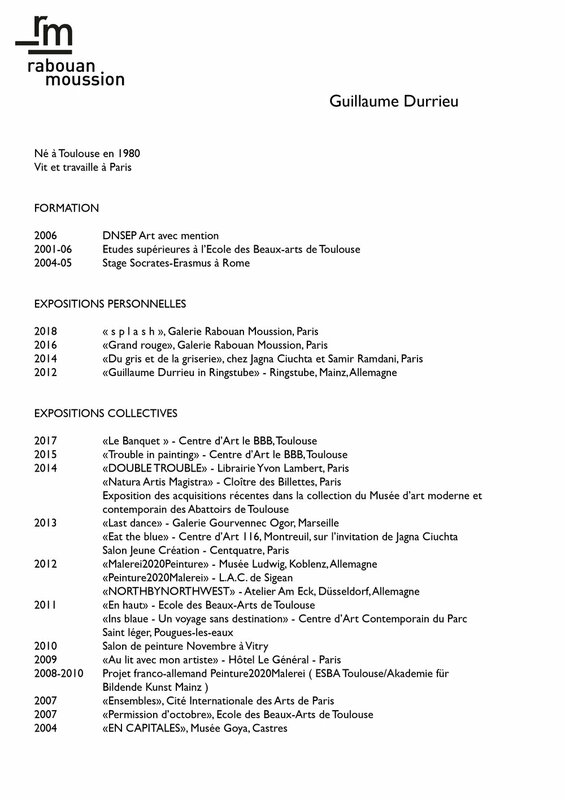 CHRISTIAN BRIEND – How do you see your exhibition at the Centre Pompidou? HERVÉ TÉLÉMAQUE – It's an apotheosis, of course! (laughs) More seriously, the Centre is the most important modern art museum in the city and the country I live in, and that means a lot to me. This exhibition has a distant connection with an idea I once shared with Dominique Bozo. In becoming a kind of Pop art star very rapidly when I was very young, I was first of all invited to exhibit in Italy, England, Germany, Denmark, Sweden and Spain. So I started my career in Europe. Then I decided to focus on France. In 1976, my first major retrospective took place at the Musée d’Art Moderne de la Ville de Paris and that's when Dominique Bozo, the curator at the Palais de Tokyo and future President of the Centre Pompidou, began to take an interest in me. Right or wrong, he considered that my work was not yet within the grasp of the public and collectors, and worked to make sure that my paintings were regularly seen in French museums. HT – I nearly became an American painter. My teacher in New York, Julian Levi, a Polish Jew who was a marvellous support to me for three years, wanted me to take American citizenship as soon as possible. He said, "Buy a television so that you can learn English, and get naturalised." But I did neither. CB – Today, is there too much of a tendency to immediately associate you with narrative figuration? HT – I came to Paris in 1961 laden with the baggage of great Abstract Expressionist masters like De Kooning, Pollock and Rothko, whose painting I knew very well. But this thoroughly New York school seemed inadequate for me to express where I came from and who I was. This is why I became particularly interested in the work of Arshile Gorky, which I found both more complex and more imbued with nuances and narrative qualities. That's what drew me to Surrealism when I arrived in Paris. Then, tired of Parisian academicism after that of New York, and the little masters of Lyric Abstraction, I decided to re-explore a truly narrative approach. So my great friend Bernard Rancillac and I mounted exhibitions of "Daily Mythologies", which above all represented an attempt to bring forces together in a grouping of strengths. CB – What difference do you see between Pop art and narrative figuration? HT – Pop art arose from New York's formalist fatigue. It consisted of revitalising painting with a good shot of analysis. Roy Lichtenstein, who nonetheless came from abstraction, provided a perfect example of this when he took comics and restructured them in an apparently figurative way. 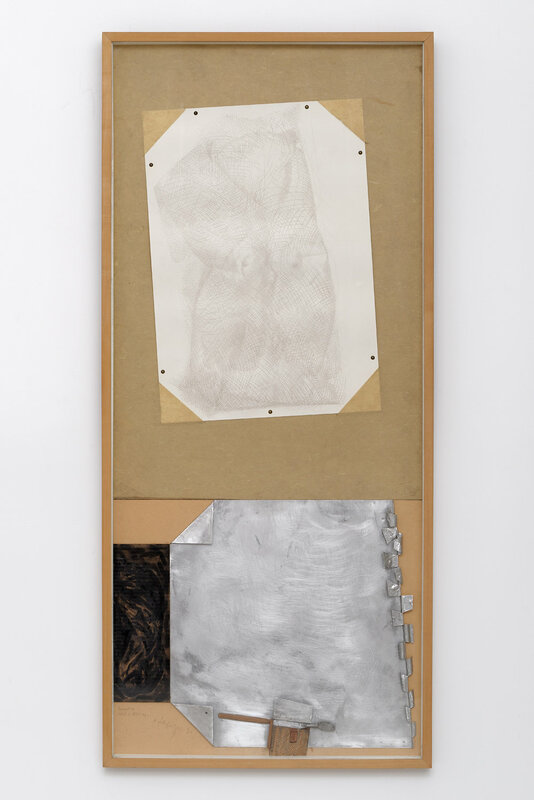 Even if there was an element of narrative in some of Rauschenberg's pieces, the narrative aspect was obviously too pronounced with French artists. But the main difference lay elsewhere. Apart from James Rosenquist perhaps, American painters, were totally uninterested in politics even in the middle of the Vietnam War, while in Paris, on the Boulevard Saint-Germain, you saw a declining Surrealism, together with situationism and communism. At the time, there was thus a powerful ideological and cultural diversity in Paris. And how can you be a painter without taking account of all this intellectual baggage? CB – For your part, do you include an autobiographical aspect? HT – I drew on my life as a Haitian of mixed race to construct a double language based on both the political and the social, the question of identity and racism, and sexuality, too, which is important to someone who has undergone a lot of analysis, like me. In New York, I underwent psychoanalysis that nourished the two extremes of my narrative. You can also see direct traces of this in the pictures of my American period. All that is what more or less accounts for my originality; I think. CB – This retrospective ends with a splendid picture, on which you are still working. Is it a tribute to Gorky? HT – When I discovered Gorky's last painting, The Black Monk of 1948, it moved me profoundly, knowing how painful the end of Gorky's life was – with his cancer, his studio burning down and his wife leaving him. With this work, which he probably painted in two hours before committing suicide, he bade his farewell to painting, and I wanted to make a happy monk for him. I followed his composition almost to the letter, even though I enlarged the format to develop the colour and form even more freely. It's also a way of coming full circle, and going back to my American roots.